This website was developed for the citizens that we serve, providing, quick and easy access to information about your Elected Sheriff Gary Hofmann and your Sheriff’s Office. 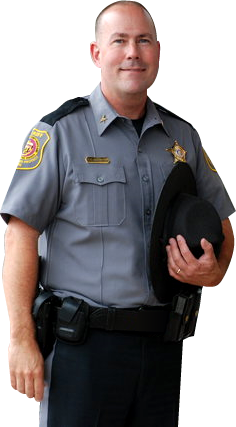 “I wholeheartedly endorse Gary Hofmann for Sheriff of Queen Anne’s County. Sheriff Hofmann has been a partner in our efforts to take repeat violent criminals off the streets and battling the opioid epidemic. He’s also been a fiscally responsible sheriff, who consistently ensures that fair and unbiased police services are provided to the citizens of Queen Anne’s County. What have we done and whats upcoming? Maintain and enhance Grant Funding as in years past, reduce cost to our TAXPAYERS! Maintain high level of service at our Court House, adapting to the new Circuit Court House. Maintain Accreditation (CALEA) Allowing us to be part of the Nationwide 10% of police agencies whom have policies and procedures that exceed local level. Maintain aggressive approach to arresting drug dealers whom contribute to someone’s death, which we have continued to demonstrate. Maintain safe Churches, Schools and Community locations through training of the community. Be available as YOUR Sheriff, by Social Media, Email, Phone call and in person.